Same property rules and principles should be valid for both communities. 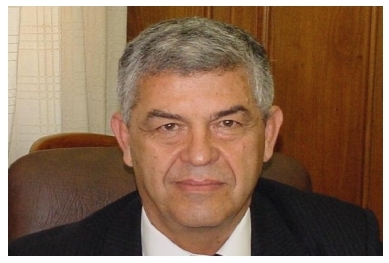 We are delighted to have received a copy of a letter from the Retired Chief Justice, Taner Erginel from the Cyprus Observer and in view of the very important content we are publishing this as follows and will also share this with our community sharing partners. I have been informed that, while I was out of the island, my opinion on the Maraş (Varosha) issue were published in the English language press. When I returned to the island I realised that some of my views were not understood properly. My full opinion in Turkish was published in Vatan newspaper and in my own website (www.tanererginel.com). I wondered if you would mind publishing this fuller explanation to avoid misunderstanding. Recently it has been reported that Greek President Anastasiades asked that before new negotiations start Maraş (Varosha) should be returned to the Greek Government. The TRNC President replied saying that Maraş issue is part of the overall negotiations and cannot be returned earlier. In my articles I mentioned that these are political statements and I am not involved in discussing them. However there are important legal principles involved in matters of property exchange. I have tried to produce a sound easily understood legal opinion on Maraş. To be able to do this I investigated the validity of the title deeds in Maraş. I discovered that during Ottoman Times and early English Times in Cyprus, Maraş belonged to Religious Moslem Foundations (Evkaf). In 1907 English Colonial Administration passed a law (The Law 12/1907). This was a general prescription law which allowed people to own properties and register title in their names if they possessed them without dispute for 10 years. (Very similar to the English Law which specifies 12 years without dispute). According to this law Maraş titles were transferred to the name of the Greek inhabitants of the time. However in 1907 there was another law in force in Cyprus, this was Ahkamul Evkaf (Law of Religious Foundations). According to the Ahkamul Evkaf law no Evkaf property could be owned by way of prescription. Evkaf property title is owned in perpetuity. Since Ahkamul Evkaf was a specific law for Evkaf properties it had the priority and should be applied instead of any other law. Applying the general law of 12/1907 and not the specific law was wrong and against legal principles. So Greek Cypriot title deeds relating to Maraş are defective. Then I compared this defect with the alleged defect of TRNC titles in the North Cyprus. TRNC titles came into existence after the 1983 Referendum. In this Referendum TRNC Constitution was approved by the people of TRNC. 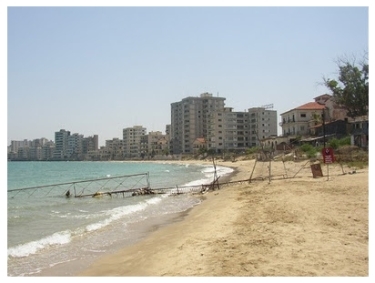 The section 159 of the Constitution stated that all abandoned Greek properties in the North are acquired by the TRNC Government. Later title deeds were given to the Turkish people who left properties in the South. Title deeds were given for social reasons also. It was expected that the Turkish properties in the South would be given to the Greek property owners as compensation. It was also stated that more compensation would be discussed and if needed be given after a Cyprus settlement. after the 1923 agreement. This 1923 agreement created peace and friendliness between Turkey and Greece which continued until 1955. In 1955 the Cyprus conflict soured Turkish-Greek relations again. If one compares what happened in TRNC after exchange of populations, with elsewhere in the world we can reasonably come to the conclusion that the TRNC adjustment is one of the fairest. Therefore we can state that TRNC titles are legal and in line with the international law principles. Even when someone claims that there is a defect on these titles this defect is far smaller than the defect of the Greek titles in Maraş. Let’s have a look at the example of Oram’s family who built a house on the property they bought at Lapta. Registration took place at the Kyrenia Lands Registry Office. They did not have a clue that this property belonged to a Greek owner earlier. Due to the Greek legal arguments and Greek laws they were deprived of their home. Subsequently the European Court of Human Rights has recognised that the TRNC Immovable Property Commission has a satisfactory remedial process for determining ownership and compensation on transferred property. So my main conclusion is that the same rules and principles should be applied to both peoples in Cyprus. That is the only way to achieve and maintain lasting peace. Discriminating between two peoples, amount to violation of human rights and encourages conflict; recognising these principles is the only reasonable way to achieve and maintain peace in any country with different peoples. Therefore Turkish titles in the North and Greek titles in the South should both be considered legal or both considered illegal. If anyone claims that the Greek titles in Maraş are valid and Maraş should be given to Greek Cypriots they must also acknowledge that the TRNC titles are also valid. Consequently the Oram’s home should be returned to them and the Oram’s family should also be compensated for the period they were deprived of using their home in exactly the same way as the Greek home owners are compensated by the Immovable Property Commission.